-Effect Level, Low Filter, Rate and Depth knobs permit precise tonal shaping. Weight: 0.5 kg / 1 lbs. It only provies chourus effect when you are playing up near the 12th fret on the D and G string. It works well with the intro of Sweet Emotion but it is limited in it's application. it is OK now that I own it but if I ever lost it or it got stolen I wouldn't replace it. The reliability is great. It is built like a tank as are Boss peddles. 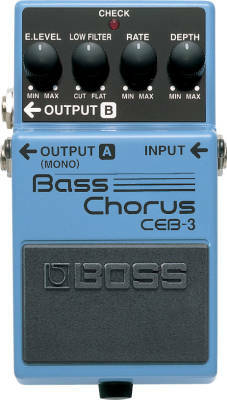 Nice solid pedal from Boss. I am going for Duff mckagens tone on some songs. 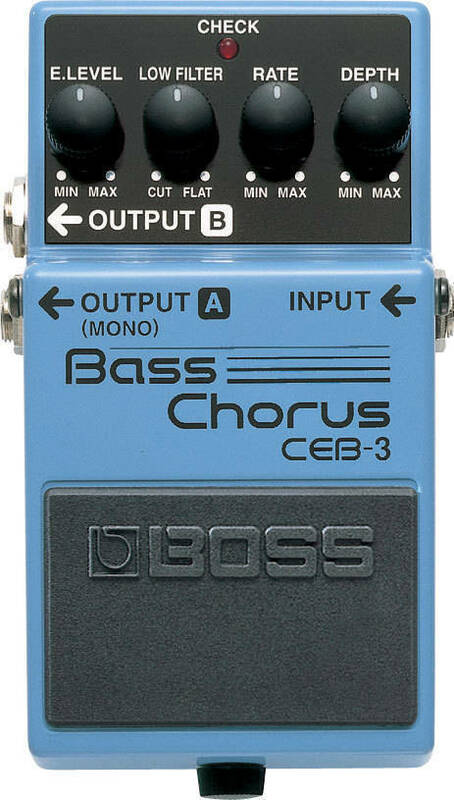 Easy to dial in tones and effect levels you need.